Here is a basket of Cape Cod Gold, the infamous Quahogs. They are known in other places as Cherry-stones or Little-necks, but nevertheless, they are especially wonderful when freshly dug from the sand. 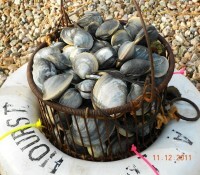 Early winter is the best time to dig, when the water is very cold and the clam muscle is nice and firm……Yum! 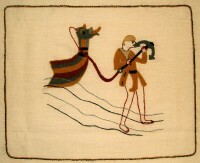 A few years ago I took a City and Guilds embroidery course and one of our requirements was to study the Bayeux Tapestry and recreate a tiny section using the two stitches that were originally used back in 1066. The Outline Stitch is one that I was familiar with but the Laid Work Stitch was new to me. 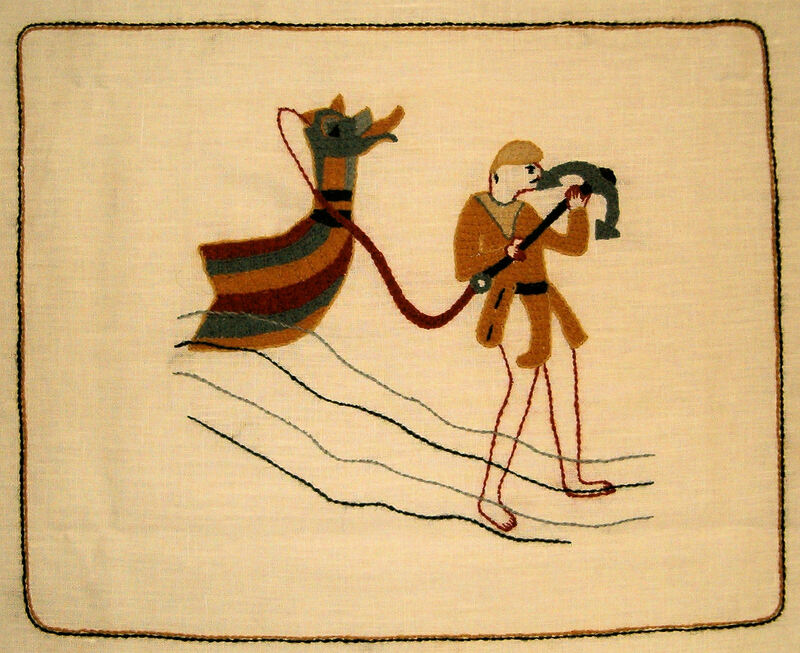 It is essentially a secured basket weave which makes it very durable – probably why the Bayeux Tapestry has survived the ravages or time. The other part of the lesson was to create our own scene using the same techniques, materials and stitches. 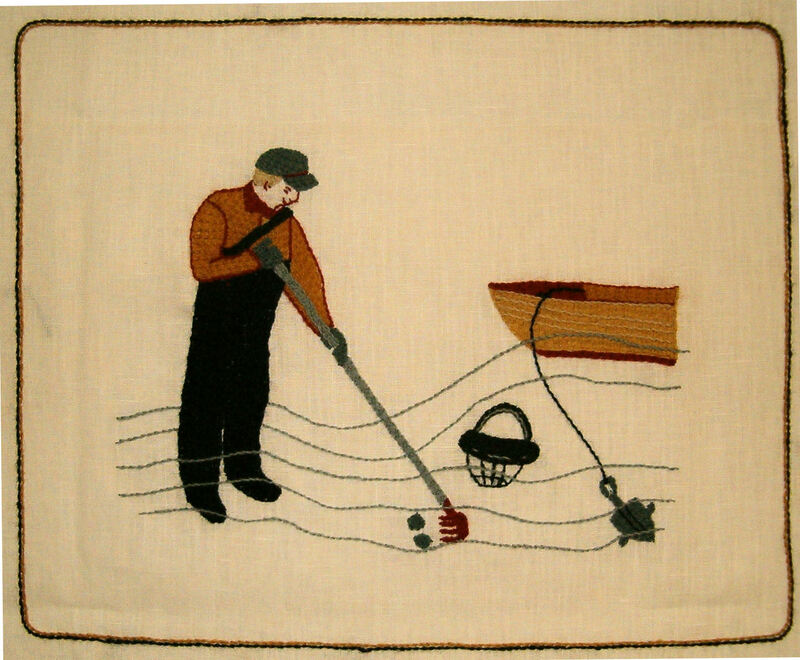 I chose to depict a man digging clams – Quahogs to be sure. These are the pieces that I created. The Bayeux one depicts a warrior setting an anchor as they ready their invasion. Digging Clam, well it’s self explanatory – note the clam basket. The materials used were a linen base and wool thread – the type used for needlepoint worked great. For those of you who dabble in embroidery and are not familiar with Laid-work, grab your embroidery dictionary, your hoop and give it a go. It creates a nice dense, textured and durable surface. Oh, time to go, Hubby just pulled some Quahogs on the half shell from the broiler – wish you were here.